The Crown Heights Film Festival is back this year after a two-year hiatus at the Five Myles art gallery on St. Johns Place. CROWN HEIGHTS — Get psyched, filmmakers. 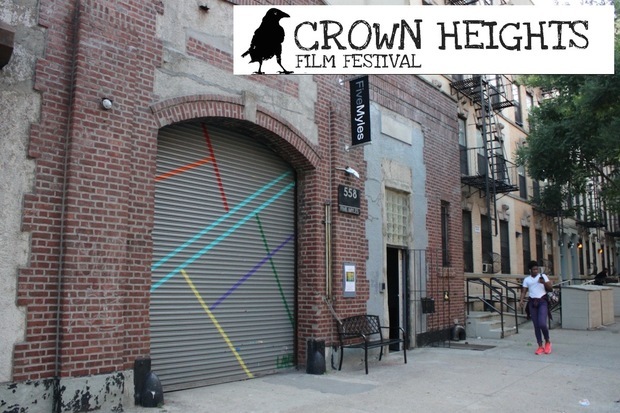 After a two year hiatus, the Crown Heights Film Festival is coming back to the neighborhood. Local art gallery Five Myles will begin taking submissions of short films for the weekend-long October festival in May, the gallery announced this week. The showcase is set to take place on Oct. 29 and 30 at Five Myles on St. Johns Place in Crown Heights and will feature mostly Brooklyn- and New York-based short films, with some subtitled submissions from overseas, said gallery program manager Marine Cornuet. The event was originally created in 2010 by artist Erin Gleason and filmmaker Perdo Marti, who ran it annually until 2013, Cornuet said. The festival went on break for the next two years, but is up and running again, she said, put on by herself, Five Myles director Hanne Tierney and artist Cynthia Chatman. All types of film are welcome in the festival, including narrative, non-narrative, fiction and documentaries, Cornuet said. Submissions will be collected between May 20 and June 20; selections will be made by the end of August. For more information, visit the Crown Heights Film Festival page on the Five Myles website or email info@fivemyles.org.